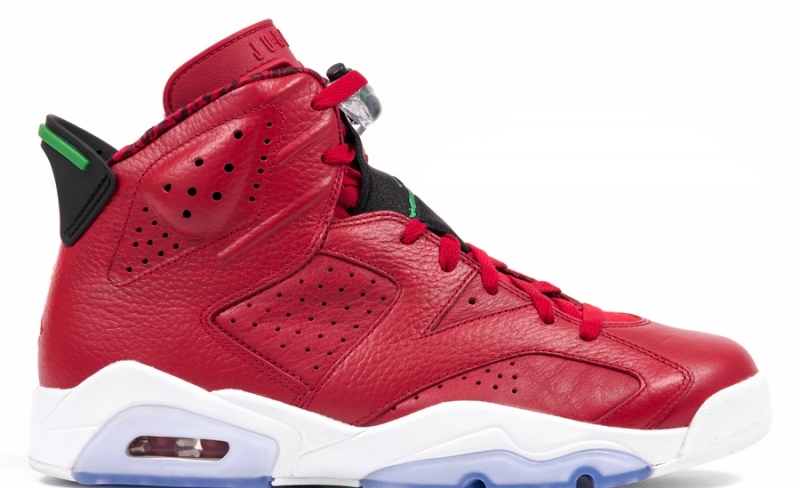 This new color way of the Air Jordan 6 is highly anticipated and known as the "History Of Jordan". The sneaker is set to be released in August 2014 and features a red leather upper. Green accents on the heel tab and Jumpman under the sole provide a slight contrast while solid white on the midsole and an icy outsole finish up this new colorway.